Relaunching with a fabulous, flower filled session with the incomparable Sarah Lea Cheesecake and the divine Lea at our spacious new venue, The Order of Melbourne just weeks ago we are already approaching our next session!! 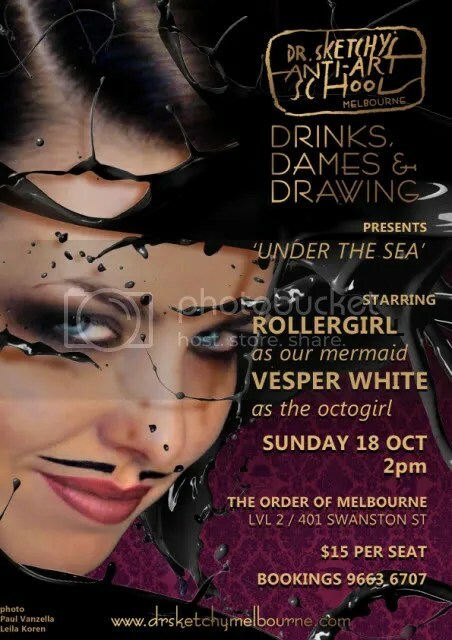 VESPER WHITE as the Octogirl!! front lady of The Level Spirits and expert clam diver, Miss Molly Jean Morrison! BYO Fishing line and sketchpads!